Crumb topped cranberry muffins and they’re gluten free too! This time of year fresh cranberries are flooding the stores and although I usually use dried cranberries in salads, for snacking and in cookie and muffin recipes throughout the year, I have to say using fresh cranberries in muffins is unexpectedly delicious. I happened to pick up 2 bags of cranberries while I was doing some last minute Thanksgiving shopping, a) because my 8 year old spotted them and said we should buy them and b) because there was a 2 for 1 sale (and I have a hard time passing up a sale), then I went home and realized I had no idea what to do with all these cranberries. 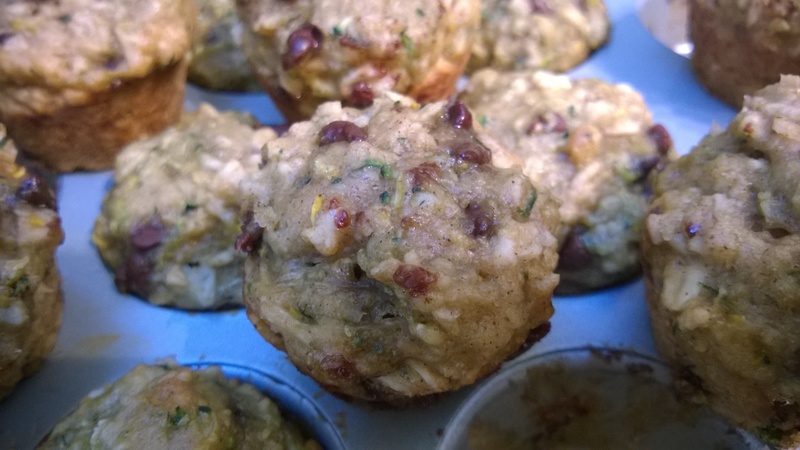 I scoured through my recipes and decided to adapt one of my favorite gluten free muffin recipes to use the cranberries. And, crumb topping, because why not, who doesn’t love crumbs, really? The results were delicious and I proceeded to make them 3 more times over the next couple of weeks! These crumb topped cranberry muffins are going to make the perfect Christmas morning breakfast for my family. Christmas morning is always pretty rushed in our house, opening presents with the kids before we clean up and dash off to spend the rest of the day with my parents, siblings, nieces and nephews and old family friends. But it’s Christmas and I still want to have a special breakfast with Colin & the kids, so we usually have smoothies, caffeine for Colin & I (of course!) and some kind of muffin, scone, bagel or pastry…yum. And since I’m trying SO hard to be gluten free, this year I plan to start out the day that way even though I know I’ll be sneaking in my dad’s cookies later on. I have been experimenting a lot with gluten free baking over the last couple of years and one of the hardest things to do is create a gluten free muffin that will not just fall apart to crumbs the second you pick it up or take a bite, and I am happy to say I have discovered the way. 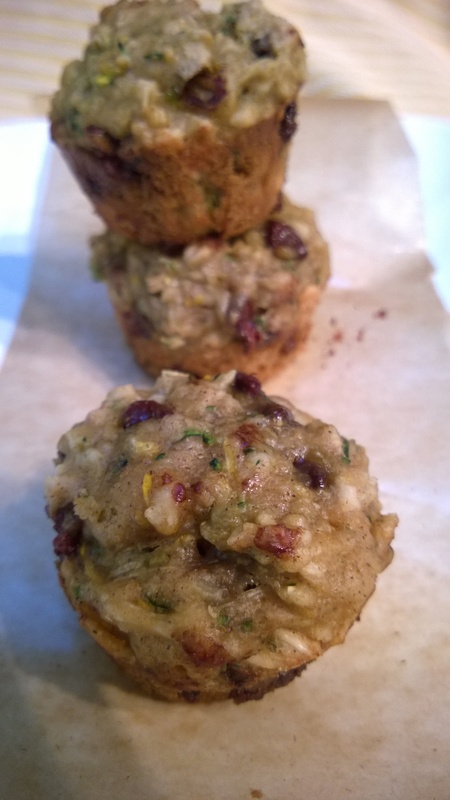 Millet flour and oats seem to be the perfect combo of flours for making gluten free muffins, that do not fall apart and actually look and taste like a regular (albeit healthier than white flour) muffin. The beauty of this recipe is in its simplicity. Two flours, that’s it, unlike most gluten free recipes that either rely on a premixed and very expensive gluten free flour blend or mixing up your own blend of 3 or 4 different flours, plus starches and gums. No starches or gums here and only one specialty flour. Granted millet flour may not be in every pantry, but it’s definitely worth seeking out, not only is it gluten free, it’s actually a seed not a grain, but it is super nutritious and alkalizing. I find baking with rice flour can sometimes result in a grainy texture that I never experience with millet. Oats, as everyone who hasn’t been living under a rock can tell you are heart healthy and high in fiber, not to mention delicious and are also great for baking gluten free. Beware though, a lot of oats may be produced in the same factories as gluten grains and can become contaminated, so if you have a true gluten allergy like celiac or are baking for someone who does, be sure to seek out certified gluten free oats. I save money and extra pantry space by never buying oat flour, instead I just blend up old fashioned rolled oats as needed, it takes about 30 seconds in a blender and you’re done. I also find that blending my own oats into flour, produces a lighter end result, which I prefer. So I recommend you bake up a batch of these crumb topped gluten free cranberry muffins, pronto…maybe even for Christmas morning, for an easy, delicious and healthy breakfast treat. Enjoy! Simple, but definitely not basic, this is my go to cupcake recipe for birthday celebrations, it’s simply the best vanilla cupcake I’ve ever tasted. Now, this is not my usual health foodie, super food, gluten free, hidden avocado type of recipe. What this is, is a celebration cake and we all deserve a little celebration every once in a while. Although, not a health food by any means, you still won’t find in here anything artificial or super processed (save the white flour), I use whole foods and organic ingredients and I promise you that makes a difference! This is not my recipe, I did not develop it and believe it or not I have not modified the recipe in any way, shape or form. With that said, I’m choosing to share it with you here in the month of May (birthday month for both of my kids, my mom & sister-in-law, phew that’s a lot of celebrating!) because I think it’s the type of basic that every person, and most especially every parent should have in their repertoire. Yes, making these cupcakes takes slightly more effort than opening up a box mix, but the effort is minimal and the results are worth it. Pink frosted cupcakes really are the best! I’m also including my all time favorite frosting recipe. For anyone who’s a fan of red velvet, you will love this cream cheese based frosting, so delicious! Even though I cook all the time and bake a lot of muffins and cookies, I really don’t consider myself a baker. A baker follows the rules, I like to improvise, modify, change on a whim pretty much every recipe I encounter. I have been working on a variation of this cream cheese frosting for years and my results have mostly been less than outstanding and sometimes even colossal failures. As a lover of healthy food and a conscious eater, the amount of sugar and butter called for in most frosting recipes makes me cringe and let’s not even mention shortening, no, don’t even talk about it. So I have tried and failed over and over again to make a frosting that’s a little bit healthier than the norm, my results are usually pretty tasty (I mean we are still talking butter, cream cheese and sugar here and sometimes a little mascarpone and/or heavy cream! ), but also pretty disastrous. My frostings are usually too runny and my most recent effort for Evan’s 7th birthday was just a horrific lumpy mess (luckily it was just the celebration for our family of four!). I have to say the lumpy frosting was my worst yet, it started out great, but than Colin said it was a little too buttery tasting than I made a colossal error and I knew it as it was happening and I just couldn’t stop myself…note to all never, ever, ever add cold cream cheese to your frosting mix, never! Enough said. Red Velvet Cream Cheese Frosting, yum! So, for Evan’s classroom birthday celebration today, I made my perfect go to vanilla cupcakes and I used my dad’s perfect frosting recipe, no modifications whatsoever. Evan was really concerned about the frosting and told me “please, mommy do not use the lumpy frosting for my class, I’m afraid everyone will hate it and stop going to your blog”. He is always honest and will always tell you how he feels, just ask Colin’s sister Megan what happens when you buy the wrong color Angry Bird’s blanket for the kid who loved nothing but blue for two years, until he suddenly switched to now favorite color red and no one informed the aunt, it was a priceless moment of honesty no one in our family will forget! I got the point, so I let Evan do a taste test of the frosting this morning before school, he gave me the thumbs up with a big smile on his face, told me it was perfect and that he was so proud of me for making the best cupcakes ever and now finally the best frosting! This was a happy mom moment to say the least. **** NOTE – cream cheese and butter MUST be softened at room temperature – do NOT use cold ingredients or melted butter. Preheat oven to 325 F. Line two standard cupcake/muffin tins with paper liners. In a large bowl, whisk together eggs and vanilla. Next pour sugar into whisked eggs, continuing to whisk the mixture as you pour the sugar. Slowly, whisk in the melted or very soft butter into the sugar and eggs. Once the butter is incorporated, whisk in the buttermilk. Next, add the flour mix to the wet ingredients, by first whisking in 1/3 of the flour until it’s mostly incorporated, then do the same with the next 1/3. Lastly, add in the remaining flour and mix to fully combine without over mixing. This will be a nice thick batter. Using a spring loaded ice cream scoop (or a small measuring cup), fill the cupcake liners about 2/3 full. Bake in a 325 F oven with the two tins side by side on the center rack for 18-22 minutes, until a toothpick inserted in the center comes out clean. Cool the cupcakes in the tins for 5 minutes on a wire rack. After 5 minutes, turn out the cupcakes onto the wire rack to cool completely, about an hour, before frosting. In a large glass bowl add the softened cream cheese and butter and mix together with a hand held electric mixer. Mix in the vanilla. Then slowly mix in powdered sugar about a cup at a time. With the powdered sugar, start the mixer on the lowest setting and then gradually increase the speed until it is incorporated. Taste as you go and stop adding sugar once the frosting is sweet enough for you. IF you wish to color your frosting, add in the food coloring now. Continue to mix the frosting until it’s lighter and fluffy. If you plan to make the frosting ahead of time, cover and store in the fridge until ready to use, taking it out of the fridge about 10-15 minutes before frosting the cupcakes and remix to lighten it up again. Frosting can be applied directly to the cooled cupcakes with a palette or for more flourish, piped on. Original recipe calls for cake flour, I just use unbleached all purpose. Original recipe calls for large eggs, I always buy extra-large so that’s what I use, no problems detected. The original recipe also does not call for organic ingredients, but that’s what I use and I really think it makes a difference, especially the sugar, organic cane sugar just tastes better to me than bleached white sugar. Another note on sugar, as I made this recent batch of cupcakes I discovered at nearly midnight that I did not have enough sugar (this almost never ever happens to me, since I’m a little crazy and always have an extra bag or box of pretty much everything in my pantry at all times!). So what to do…I subbed in organic brown sugar for about 1/3 of the sugar and the cupcakes came out just as perfect as they always do.